Not long ago, in a galaxy not too far away, a movie pitched as a western in space spawned a multi-billion dollar franchise whose action figures and vehicles dominated birthday and Christmas wish lists for a generation. 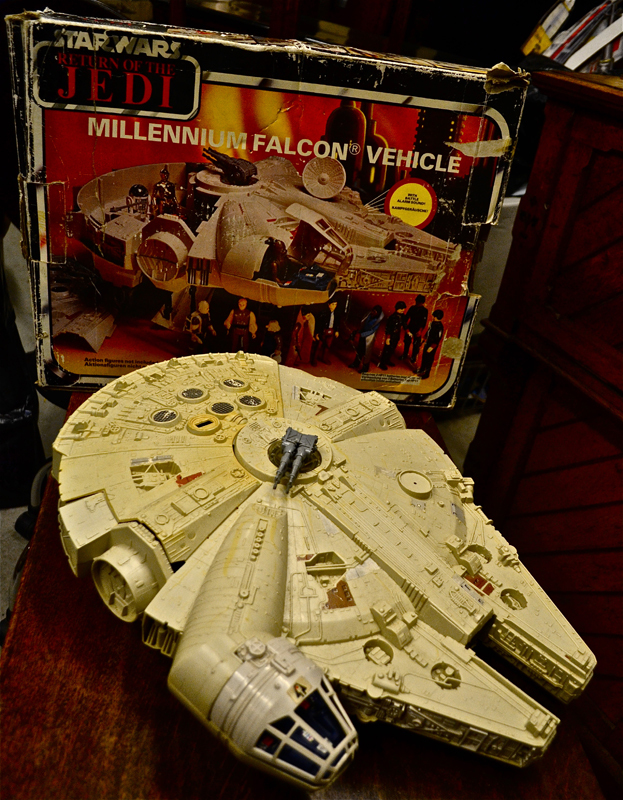 Now, as the six episodes Star Wars return to the big screen in 3D, a collection of thousands of action figures and vehicles spanning four decades will go under the hammer at an auction in the Cotswolds. The collection was amassed by a single collector over several decades. Conditions range from play-worn to boxed and in near-mint condition. 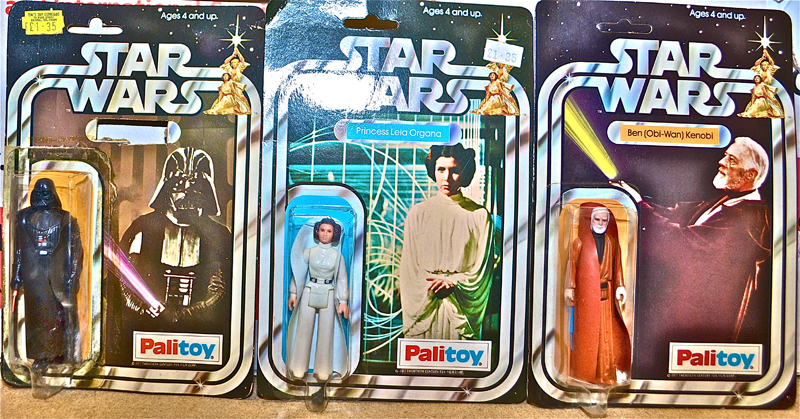 Among the most attractive lots are some of the original 1978 Star Wars figures by Palitoy of Princess Leia, Obi-Wan Kenobi and his arch-nemesis Darth Vader in the original ’12 back’ packs – so called because they featured pictures of the 12 original action figures on the reverse of the card mounting. 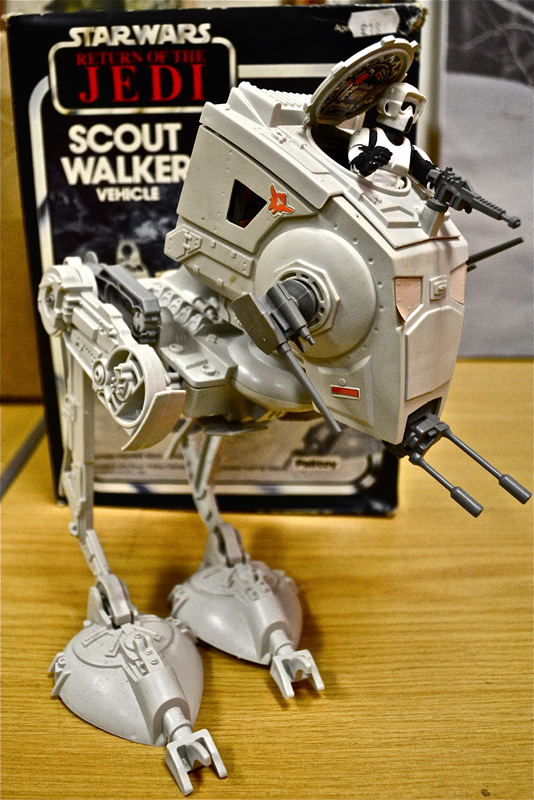 Other stand-out Star Wars lots include a boxed circa 1979 Millennium Falcon and a circa 1982 Return of the Jedi Scout Walker. Toys from each of the three original films are featured, along with action figures from Episodes I, II and III, released between 1999 and 2005. Although Darth Vader and friends will be taking centre stage, many more plastic heroes and villains will be sharing the limelight. There are some good, bagged examples of posable figures from the Masters of the Universe (He-Man) franchise, which date from between 1982 to 1987, from ThunderCats, which were released from 1984 to 1987, and from Teenage Mutant Ninja Turtles, who took the world of toys by storm from 1987. Military action figures from the GI Joe (1982–present) and Action Force (1982–1985) ranges also get an honourable mention. The collection also features dozens of examples of electronic games consoles and cartridge games. From Nintendo there are hand-held Game and Watch devices, which featured single games played on a portable LCD screen, and home consoles including 1987’s Super Nintendo Entertainment System (SNES). From arch rivals Sega there are examples of the Sega Master System (1987-1991) and the Mega Drive (1991-1995); from Sony the Playstation (1994-2000) and PlayStation 2 (2000-2006); and Atari’s long-forgotten 1993 Jaguar model. And from the dawn of time – in computer game terms, at least – the collection includes a Commodore 64, an 8-bit home computer first shipped to the UK way back in 1982. The massive collection, which will feature thousands of individual toys to be sold in over 100 lots, also includes collectors cards, stationery, stickers, models and souvenir mugs. Want a press release like this? My gun’s for hire!